In recent years he re-entered the competitive arena in the field of dressage, competing with much success through Grand Prix and earning his USDF Gold Medal. He now has an extensive clinic circuit, which takes him the length and breadth of the country, as well as abroad. His services as a clinician are in great demand and his students have been conspicuously successful through the FEI levels. Indeed, one of his students won the Adult Amateur Horse of the Year Award at Prix St. Georges in 1996 and at Intermediare 1 in 1997, while another won 4th level Amateur Horse of the Year award in 1997. Michael hails from North Salem, New York and is well known as the rider in one of eventing's most successful combinations with his partner Grasshopper, one of only five horses in the history of the sport to have competed in six or more CCIOs. Grasshopper was inducted into the USEA Eventing Hall of Fame in 1999. Michael won the AHSA Medal Finals in 1956 and went on to train at the French Cavalry School in Saumur, France from 1957-1958. His international career included three Olympic Games and three Pan American games. At the Tokyo Olympics (1964) on Grasshopper he placed fourth individually and earned team silver; at the Mexico Olympics (1968) on Foster he earned individual bronze and team silver. His Pan American Games resume is just as impressive with two individual gold medals in 1959 and 1963. In 1963 and 1967, he was a member of the U.S. teams that brought home gold. Individually he won bronze in 1967. In response to Michael's accomplishments, the Wofford Cup was retired in 1963 after he received it three times. The USET offered a new cup in 1964, designated as the National Open Three-Day Event Championship Trophy which was to be awarded annually at a specific competition. Michael went on to share his expertise. He coached the Canadian three-day team at the 1976 Olympics and served as Chef d'Equipe at the 1988 Olympics in Seoul, the 1990 World Championships, and 1992 Olympics in Barcelona. With a flair for administrative details, Michael served as chair of many committees including the AHSA Equitation Committee, AHSA Nominating Committee, and USET Nominating Committee. 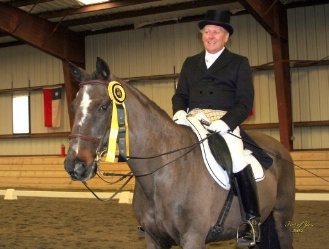 In addition he judged the AHSA/ASPCA National Equitation Finals seven times and the Intercollegiate National Finals four times. 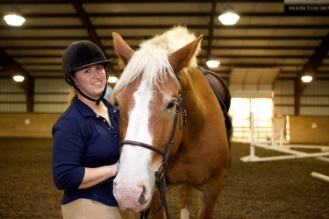 Michael is in great demand as a clinician and his expertise and generosity with his knowledge have provided the strong base of equestrian education for many adult riders. His teaching philosophy, in his words, is, "You should go to someone for instruction or advice only if you respect him enough to give 110 percent of what he asks. Every time. All the time."